Dr. Harrison began her career as a speech-language pathologist in the public schools in 1974. Her 30 year involvement with SIUE began in 1979 when Jean worked as an off-campus supervisor. She would achieve the rank of Associate Professor and eventually become Chair of the Department of Special Education and Communication Disorders. She retired from that position in 2010. Dr. Harrison has been routinely recognized for her commitment to her students and her profession. In 1990, Jean received the SIUE Special Research Initiative Award. The SIUE Teaching Recognition Award was presented to her in 1995. 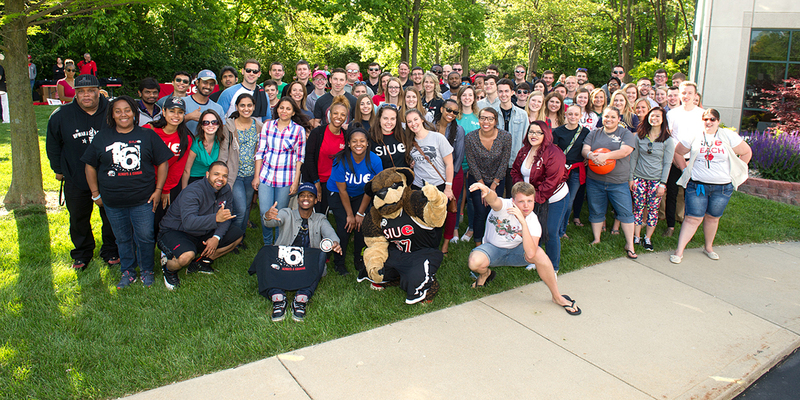 She was twice recognized with the SIUE Excellence in Graduation Education Award, and seven times awarded the SIUE Award for Excellence in Undergraduate Education. Jean bridged her work in education with leadership roles in professional organizations on local, state, and national levels. She has been a frequent presenter on topics ranging from auditory processing disorders to narrative language in children. Her efforts on behalf of these professional organizations have also been routinely recognized. She is honored as a Fellow of the Illinois Speech-Language-Hearing Association and of the Southwestern Illinois Speech-Language-Hearing Association. She received the Southwestern Illinois Speech-Language-Hearing Association Distinguished Service Award in 2008. Jean is a Lifetime member of the SIUE Alumni Association and a member of the 2011 SIUE Alumni Hall of Fame.